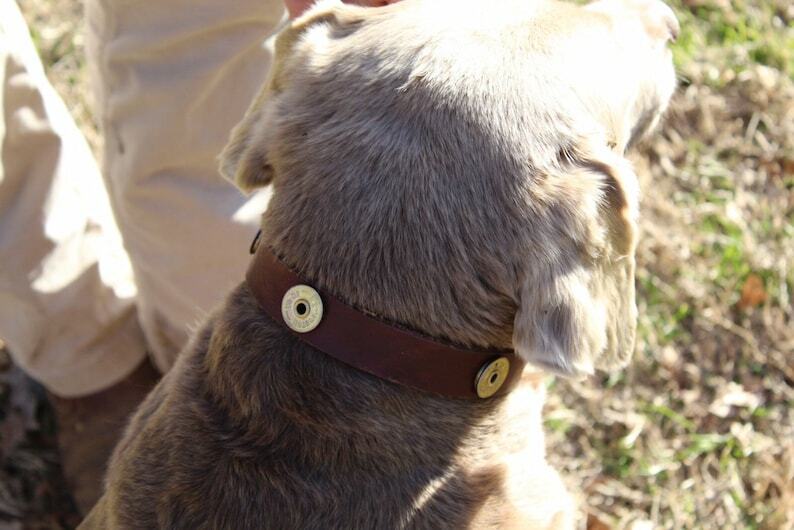 Leather dog collar with brass shotgun shells. Metal buckle and metal clip. 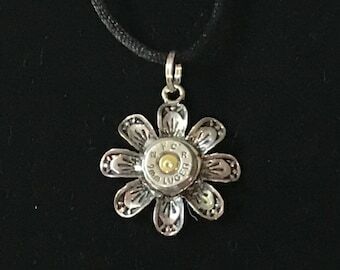 Brand name on shells may vary from photo but are typically Winchester or Remington shells.